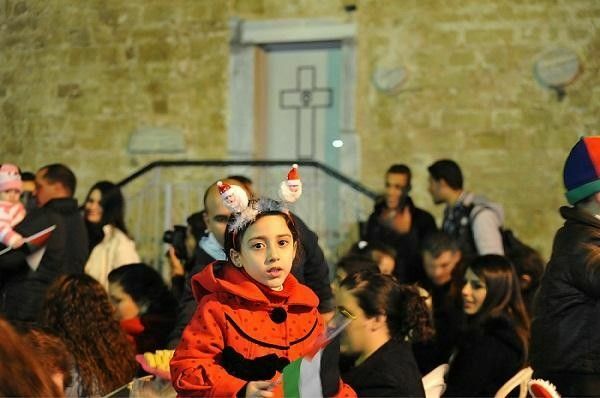 Gaza – This year Christians in Gaza will not have permission from the Israeli authorities to cross the border at Erez in order to visit relations and friends in Jerusalem, Bethlehem and other towns in the Holy Land Terra to celebrate Christmas together. According to the Middle East Concern organisation this year most of the travel permits requested have been refused. Permits have been issued only for persons aged 55 and over (although some of these may remain in Gaza, because they are elderly and cannot travel unaccompanied). In recent years many requests for permits presented especially by the Greek Orthodox Patriarchate of Jerusalem, were granted. On the occasion of Christmas 2016, more than 600 permits were issued. Whereas last Easter, already permits were issued only to people over 55 . A measure that reduced considerably the number of Christians from Gaza able to use the permits issued by the Israeli government.